Awesome Sights, Sounds and Sensations! The soothing whoosh acts as balm to your soul as you soar near hawks and other winged creatures while admiring the inspiring views of the Coachella Valley. 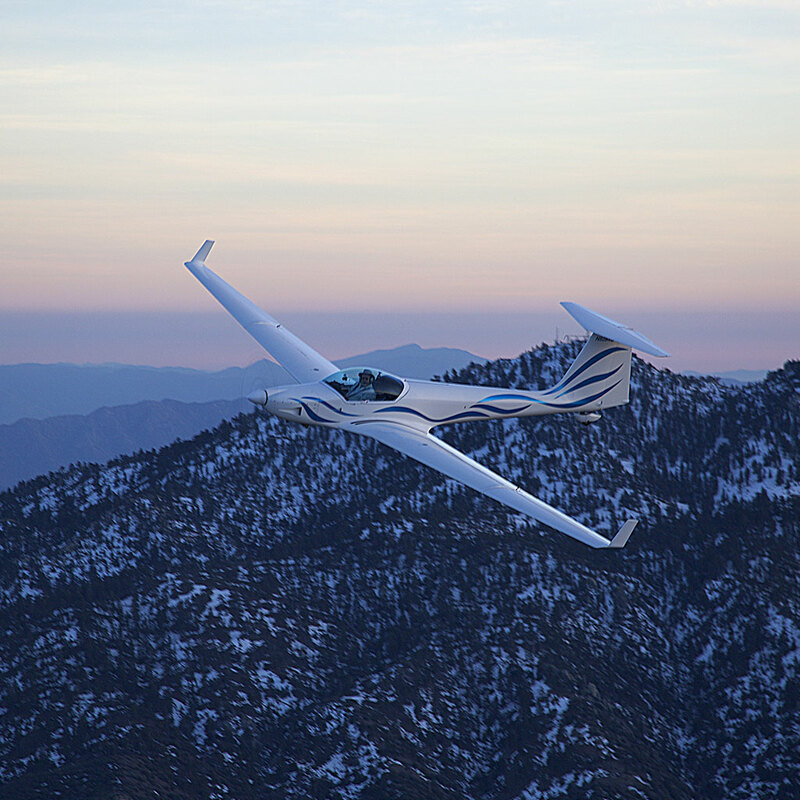 With our Palm Springs glider tours you can see everything from the San Jacinto and San Gorgonio mountains in the west to the Salton Sea in the east and from Joshua Tree National Monument in the north to rugged Toro Peak and the Santa Rosa Mountains in the south. All rides are for one passenger only. 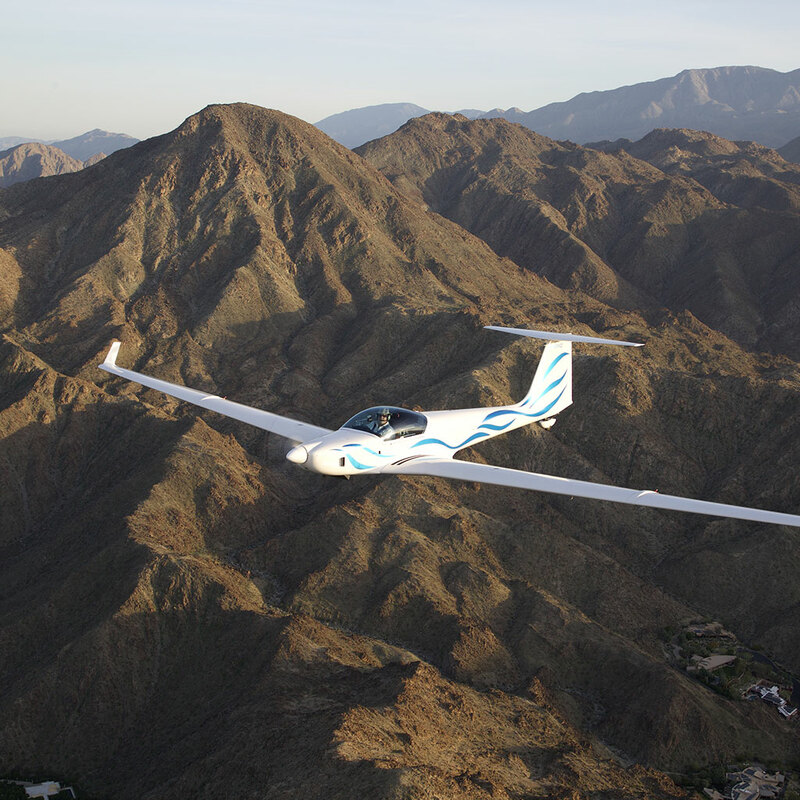 Let it breeze over you in a safe, sturdy glider flown by a Palms to Pines FAA certified pilot out of the Bermuda Dunes Airport (KUDD) just 13 miles east of the Palm Springs business district in the Coachella Valley, California. Speaking of the Coachella Valley, the weather is usually so fantastic that there are very few days we stay on the ground! You can bring your camera on your glider ride, but we do record all flights in HD video and audio. All rides are for one passenger only. My husband was all smiles and hasn’t stopped talking about what a great time he had. Thank you for giving my husband a memorable birthday. I would definitely recommend Pines to Palms Gliding! I watched the video this AM; it was as though the trip was in progress all over again! There are no words to say THANK YOU properly! Wow!! What an experience to soar like an eagle. My pilot was great and his knowledge of aviation and soaring flight was amazing. His motor glider was so comfortable, and the view was amazing! If you’ve ever wondered what it’s like to soar like an eagle, this is it! Do not pass this one up–You’ll remember this for the rest of your life. Thanks for the AMAZING flight.